Westchester Tigers: Come see Dominique Salerno '10 star a new play: "The Color of Light"
Save the Dates June 6-15 for Chelsea Music Festival 2019! Announcing 2019 Chelsea Music Festival Composers! 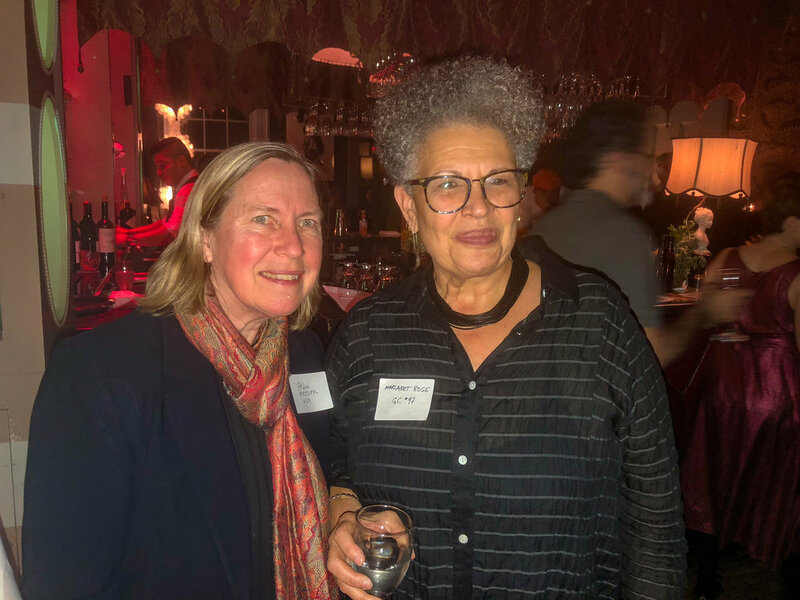 The core mission of the Princeton Arts Alumni is to create a community in which alumni from all decades can share in their mutual dedication to the arts. The Princeton Arts Alumni welcomes all who are involved in the arts, regardless of industry, region, level of expertise, or title. Whether you are a young artist just starting out, a seasoned professional looking to connect with funders or collaborators, or an alum with another career who remains passionate about making your own art, and interacting with that made by others... please, be a part of our community. Help us enrich this network where we can share what we're making, experience and discuss the work of others, and come together to build bridges across industries, geographies, and decades. Please join us in sharing our enthusiasm for making, experiencing, and supporting the arts as alumni. Get the word out about what you are doing, and strengthen our network by offering a way for alumni to interact with art by members of their community. The Princeton Arts Alumni is especially focused on creating opportunities for young alumni to present and perform their work, to gain exposure to an audience, and to create relationships with mentors. Every year since 2014, we have produced a cabaret at the historic Duplex Cabaret & Piano Bar in the West Village of NYC. Song, dance, comedy, sketch and other performance acts fill the air with laugher, tears and applause as alumni join together to support one another in doing what they love--performing. For some alumni, this performance has been their debut on a New York City stage. Since Reunions 2014, when Princeton Arts Alumni and The Lewis Center for the Arts co-hosted the first Alumni in the Arts Party, hundreds of alumni have gathered every year to reminisce and celebrate their continued support for the arts. For Reunions 2018 the party moved from the front lawn of 185 Nassau to the new Lewis Arts Complex and expanded with support from the Department of Music and Princeton in Hollywood, as all four groups brought together any and all alumni who have a stake in the arts as creators, managers, patrons or enthusiasts. 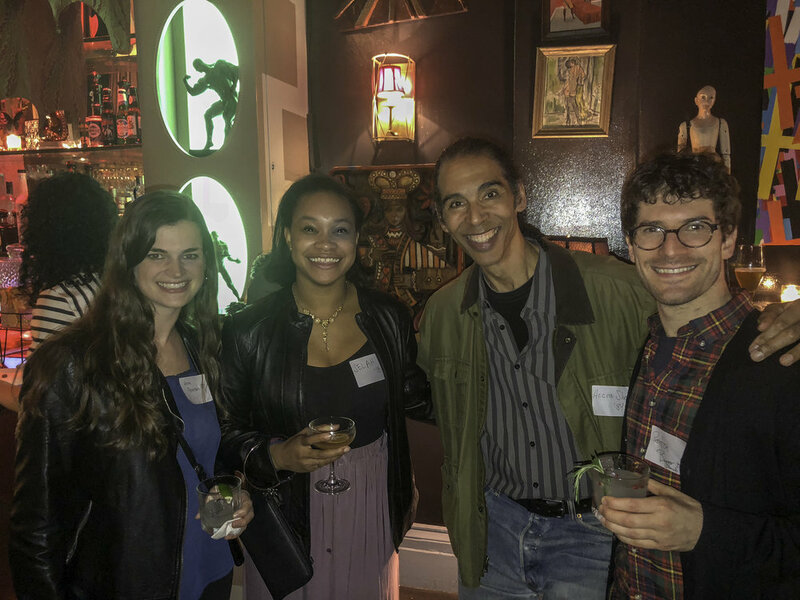 Back in the Fall of 2013 and the Fall of 2014, the Lewis Center for the Arts generously sponsored two fabulous parties in New York City to launch the now financially independent Princeton Arts Alumni, founded by Pilar Castro-Kiltz '10. With live music, food, open bar, and over 150 alumni at both sold-out events, the University's support was key to our success, with special mentorship from the late Tim Vasen, whose enthusiasm for the founding of this group made it possible to bring ideas into action. Since then, the organization has been raising money through our annual cabaret and depends on volunteers for event planning and hosting. We still celebrate the continued partnership and collaboration offered by the Lewis Center for the Arts, the Department of Music, and other active stakeholders in the arts and alumni space. It's a new endeavor for the group, but thanks to popular demand, we are creating a calendar for alumni events, so that you can check out what alumni-driven art is happening near you. Plus, you can submit your event any time and still have it seen here, even if the Newsletter deadline has passed. Please be patient as we build it out, but like many other aspects of the Princeton Arts Alumni, 2018-19 is a growth phase for us, and we look forward to expanding how to serve you better. Princeton Arts Alumni is building a network of Princeton alumni who create, work in, and are passionate supporters of the arts. We aim to connect alumni with one another to increase opportunities for collaboration, patronage, and discussion. As part of our effort to support alumni who are in the arts, we annually produce a cabaret that showcases performances by alumni and undergraduates, many of whom enjoy their New York City debut at that event. With submissions from around the world, our monthly newsletter provides free advertisement for alumni sharing news about artistic endeavors, achievements and upcoming events. For our Art Host Series, alumni volunteer to curate an arts experience by picking an arts event and spreading the word through our newsletter, inviting all alumni and their friends to buy tickets, experience the event together and gather over food or drinks to discuss afterwards. The Princeton Arts Alumni is also keen to build a bridge connecting undergraduates with alumni. 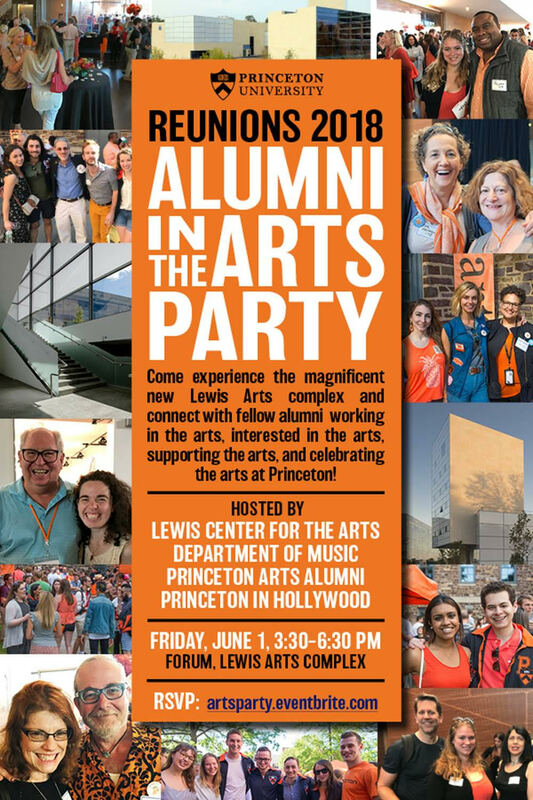 Since Reunions of 2014, the Princeton Arts Alumni has co-hosted with The Lewis Center for the Arts an Alumni in The Arts Party, an event the University generously agreed to sponsor that first year we proposed it, and we hope the tradition continues for many Reunions to come. We look forward to partnering with the University and other organizations that share our mission to create and fortify a network of alumni in the arts. All donations go to supporting our programming to produce, host, and organize events that bring alumni together through the arts. All work done for the group is on a volunteer basis. *Princeton Arts alumni is fiscally sponsored by Fractured Atlas. For more information on how to make a tax-deductible donation please click below. If you have questions, or suggestions, or would like to get involved and support our efforts, fill in the form below.